Making all the smash cakes this last year have been SO much fun! This one is no exception. 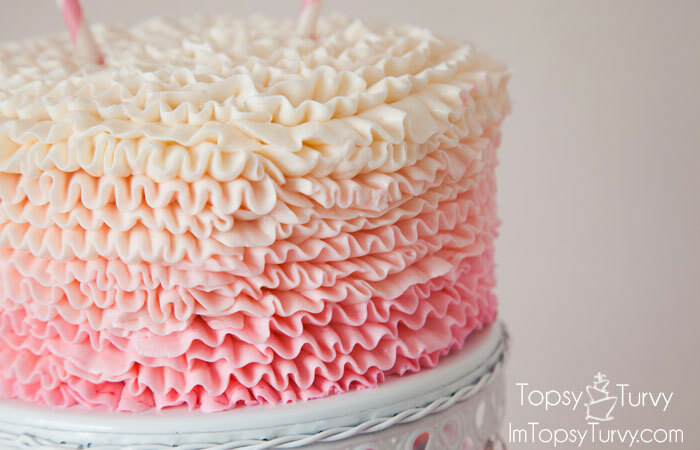 It’s tighter ruffles than the previous cakes, with a slight ombre effect. I love that the ombre is stronger at the bottom rather than perfectly even up the sides. I made this cake for Lyndsey Fagerlund (and she took all the pictures, I just made the cake) for her own baby’s first birthday! And the really fun part? 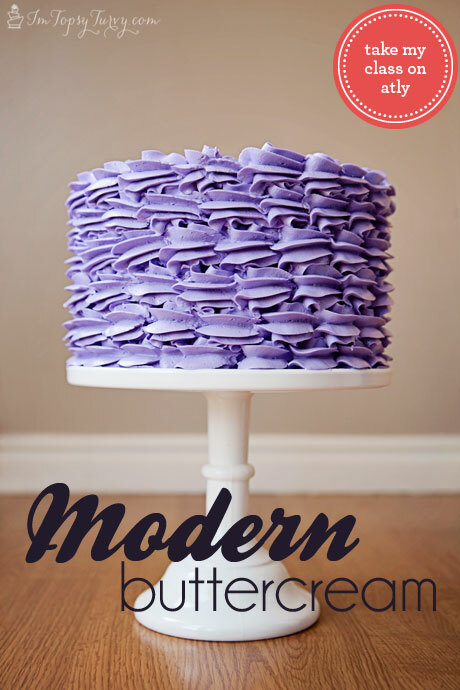 Lyndsey was on Good Things Utah talking about capturing children’s birthday parties, and this cake was featured! You can see the video here. I love how it turned out! 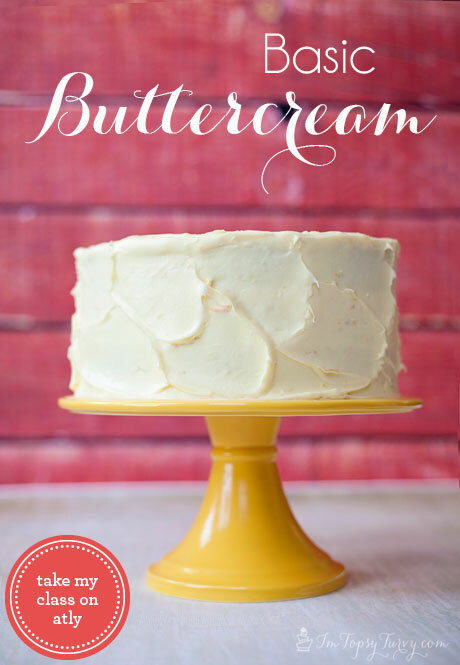 I definitely see more of these sweet delicate cakes in the future! I love these tight ruffles! It took a bit longer t make and more frosting than some of the ruffles, but I’m totally in love with it! And here is the sweet birthday girl!!! Seriously, how totally adorable is she? 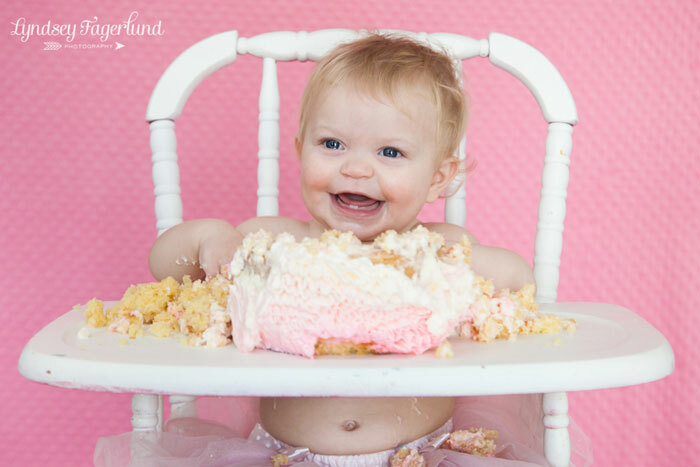 She looks much happier than Baby Boy was to break into that cake! 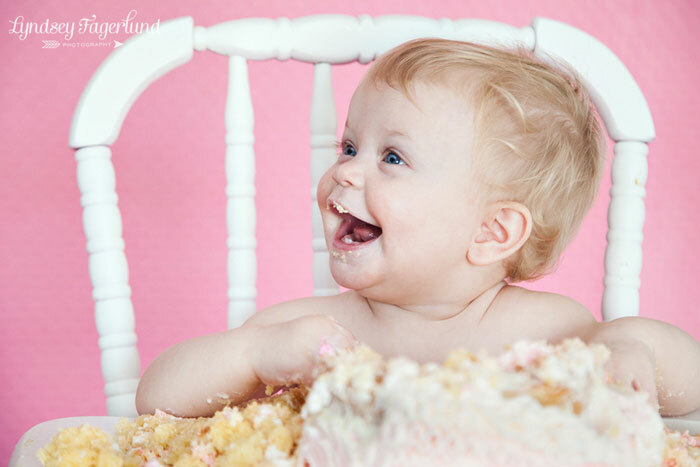 Those bright blue eyes, those sweet teeth and blonde curls? Gorgeous. And I want that high chair! SO cute!! 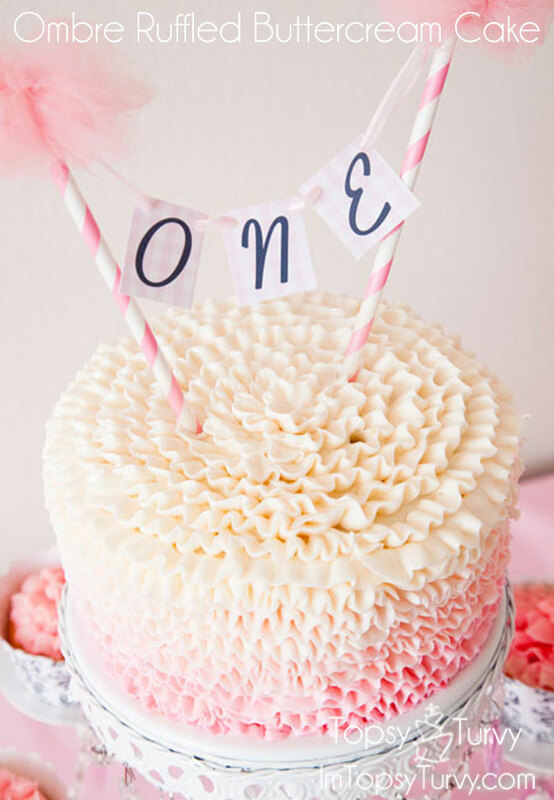 I love these little 1st birthday cakes! aren’t they so fun! Dainty and so cute! 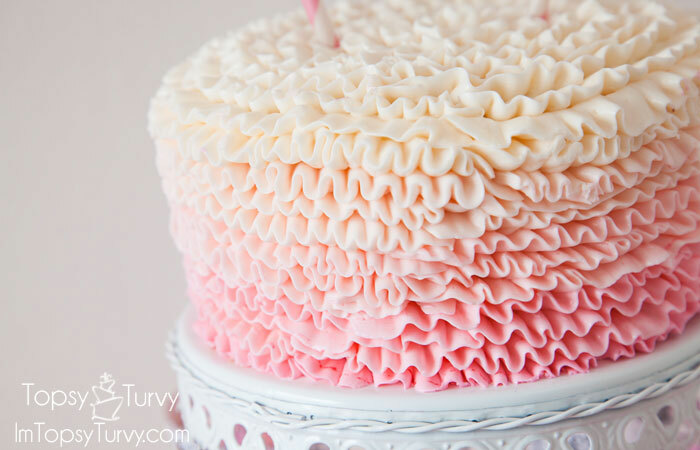 What tip did you use for the ruffle ombré cake? I believe that was a wilton 125 tip.